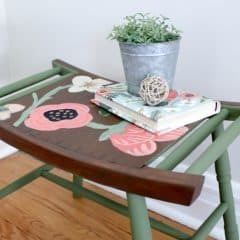 I’ve been working on a mini-makeover of my dining room. I work on it for about 7 minutes a day, which means you can plan to see it in a few years. ;-P I’m not going to show you the room until it’s totally finished, but for now, I want to tell you about an AMAZING change in the room that I made for FREE. I reorganized my china cabinet. 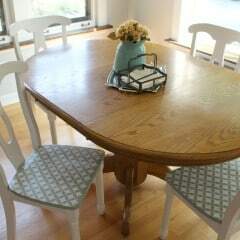 I know it sounds ridiculous, but it has made an incredible difference in the look of my dining room! Before I show you my new and improved china cabinet, I will show you the “before.” Prior to repainting the dining room (which required emptying the china cabinet of its contents and moving it), I snapped this photo so that I would remember where I had everything once I was able to put it all back. When it came time to put everything away again, I looked at the photo and thought “Ew. 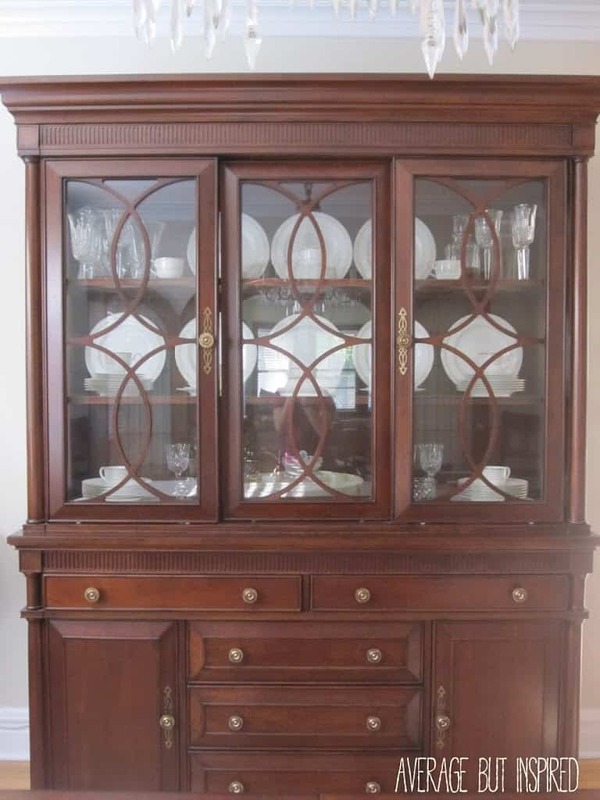 This looks pretty terrible.” Bland and disorganized – the china cabinet sort of blended into the wall without making any sort of impact at all. I decided that there must be a better way to do justice to the china and crystal that I’ve used three times since my wedding in 2006. 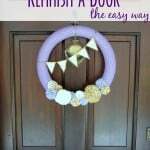 So I scoured Pinterest and Google to find just the inspiration that I needed. The first image I came across was from Katie at Bower Power. 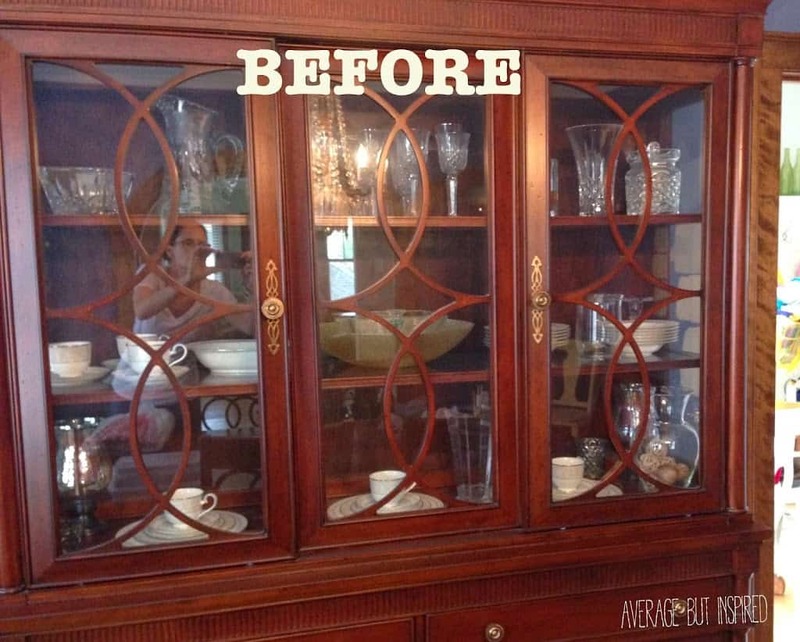 Look at her lovely china cabinet makeover and the beautiful way she organized her dishes. So much nicer than mine. The next image that caught my eye was from Jennifer at Dimples & Tangles. 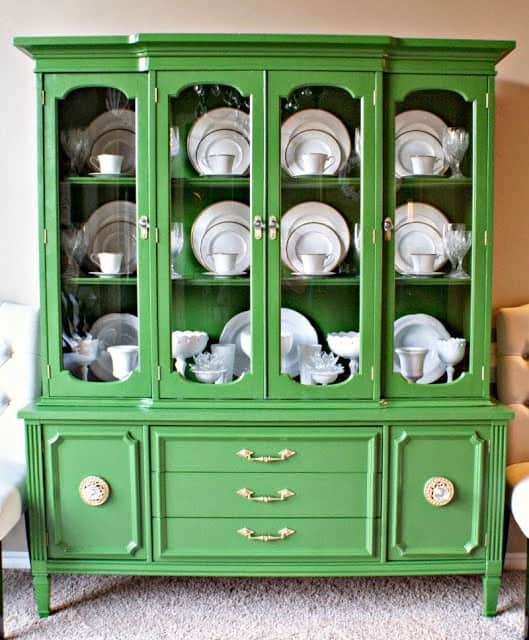 Of course I LOVED the green painted cabinet itself, but I also noticed how nicely her dishes were arranged. 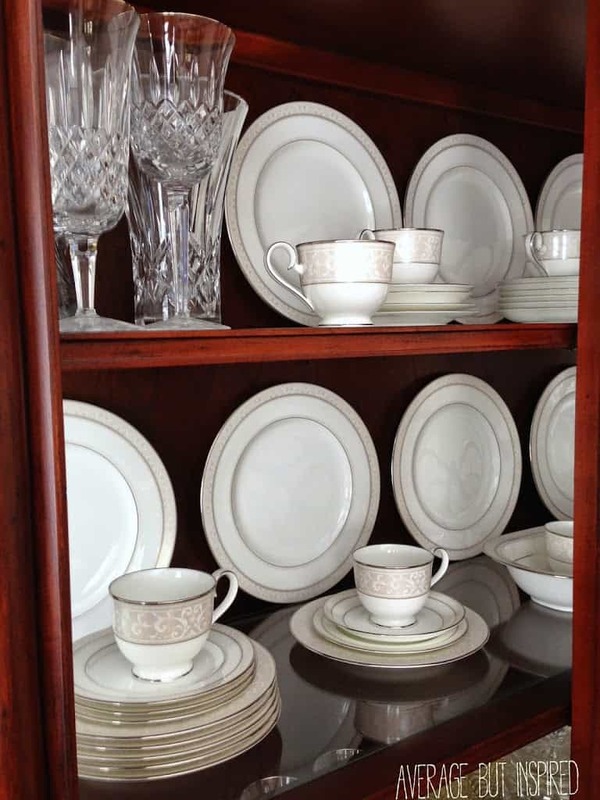 Just as with Katie’s cabinet, many of the dishes were displayed vertically to make each shelf within the cabinet pop. My dishes were simply stacked one on top of the other, so I knew this was a change I needed to make. 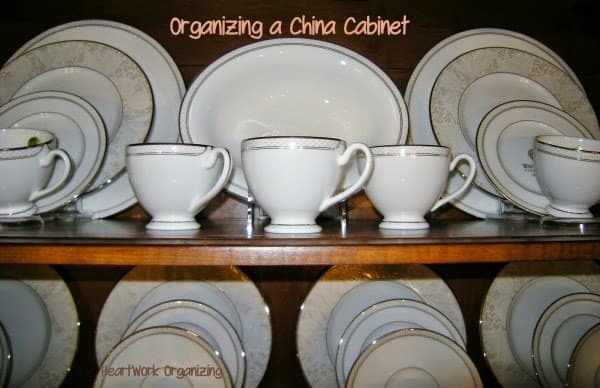 Finally, I found an awesome post by Darla at Heartwork Organizing about how to arrange a china cabinet. 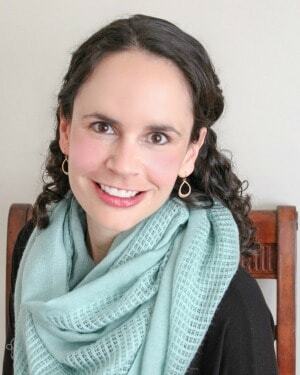 She gave fantastic tips about choosing a focal point, arranging with symmetry in mind, and about products that help with the display of china. 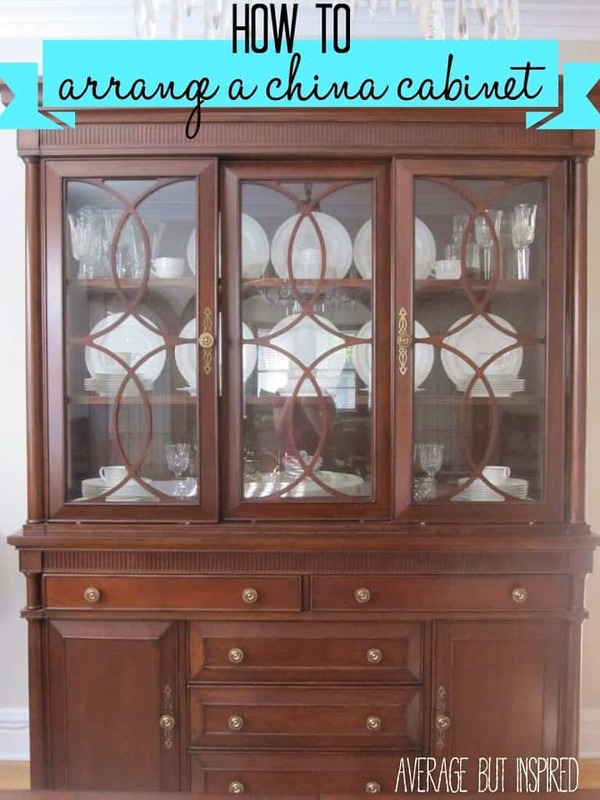 Armed with these inspiration pics and advice, I reloaded my china cabinet in a way that has made an INCREDIBLE impact on the room. 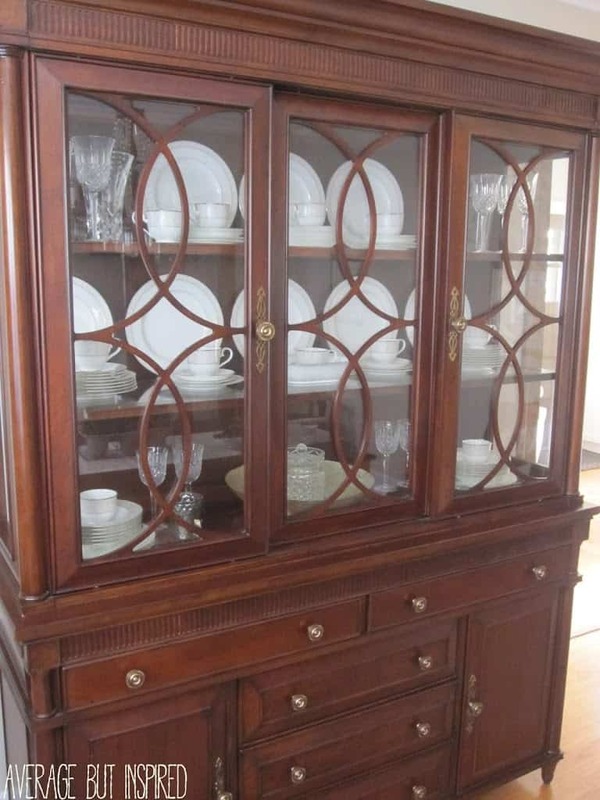 If I do say so myself, my china cabinet is now a beautiful focal point instead of a forgotten piece of furniture. 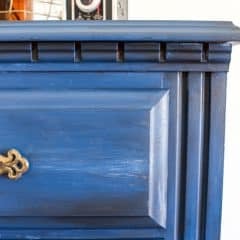 I only used things I already had to revamp my cabinet, and I am shocked at the improvement! The contrast of the white dishes against the dark furniture has really helped to lighten up the room, and the symmetrical display of the items inside makes it so much nicer to look at. 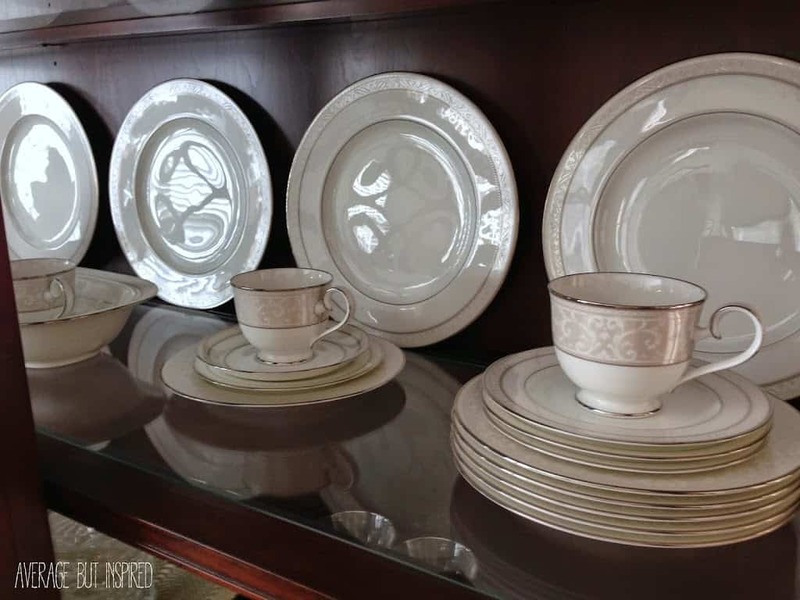 Now that everything’s arranged so nicely, however, I am probably even less likely to actually use my china – I don’t want to mess up my display! 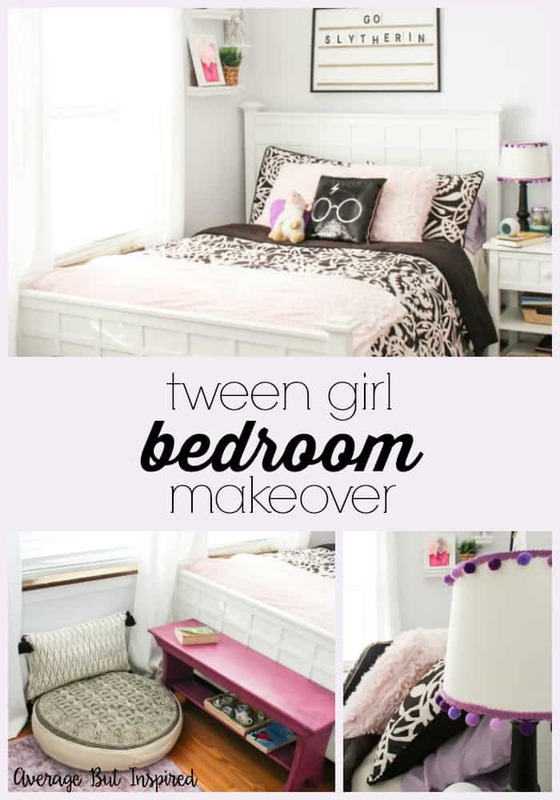 You May Also Like This Tween Bedroom Makeover Post! I think it looks terrific. 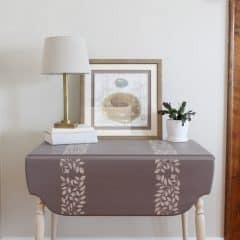 It becomes a piece of decor, instead of simply a storage piece. The contrast of your beautiful china against the wood really makes it pop. 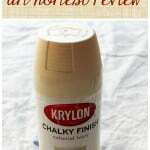 I’m a believer in projects like this… and the cost is right! You’ve inspired me! 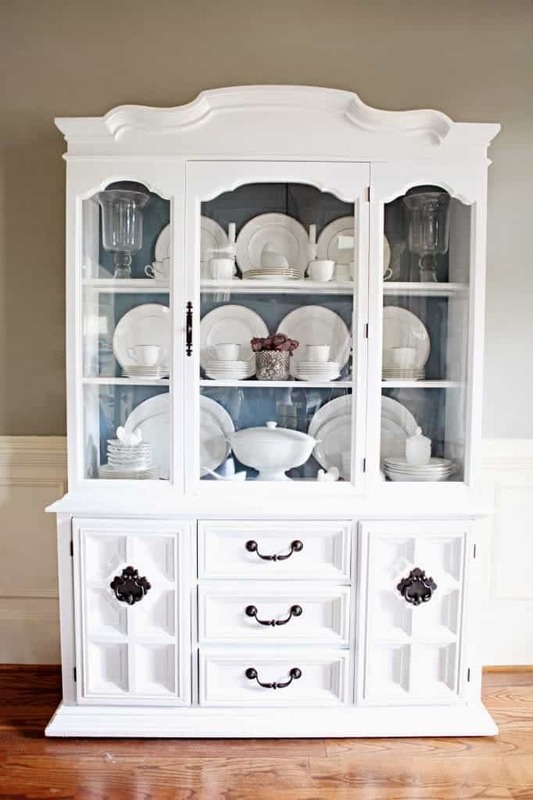 I’m going to put “Reorganizing My China Cabinet” on my to-do list! Amazing how such a little change makes such a huge difference! Looks great!!! Always down for a free makeover! Such a small adjustment and it looks so much better! Awesome job, Bre! That’s crazy! I can’t believe what a difference rearranging things makes! Looks fab Bre! Whoa what a HUGE difference! Just goes to show that sometimes all it takes is to move stuff around a little bit 🙂 nice work! Very beautiful dishes and what a gorgeous makeover! Could you please tell me how you made the plates stand up without sliding or falling. Also my China sits on glass shelves. Are yours glass as well? Thanks again for being a inspiration to me! I’m so glad you found your inspiration, and that I could help with some advice. Your china looks lovely. It makes me smile to know that everyday you are enjoying something so beautiful . Thanks for sharing your story. Thank you thank you! Just converted a closet into a China cupboard but lack a certain je ne sais quoi. The display component is just what I was missing. L Ike good decorating I knew I had to ” lift and separate” and placing the China in sets on the clear plate stands is just the trick! Can’t wait to pop the door off the hinges for the big reveal! How many ditches are on the shelves? For example, can you stand up three plates against the back or only one plate?